Lindsay Rathbun and Erica Colicino did a great job this year presenting their work at ASCB in San Francisco! 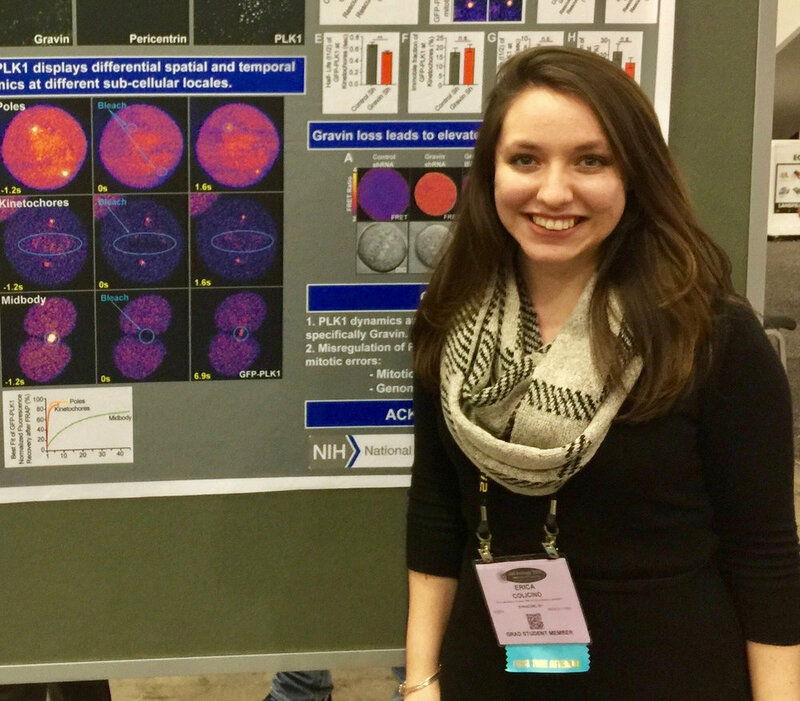 Erica talked about her study on the spatial and temporal regulation of the mitotic kinase Plk1 and Lindsay presented her work on the role of division orientation during 3D expansion and embryonic patterning. Lindsay Rathbun presenting her talk titled "The role of division orientation in tissue patterning". This is a collaborative project between our lab (Hehnly Lab) and the Amack Lab at SUNY Upstate. Erica Colicino presenting her poster titled "Plk1 spatial synchronization and activity during mitosis." This is a collaborative project between our lab (Hehnly Lab) and Leszek Kotula's laboratory at SUNY Upstate Medical University.